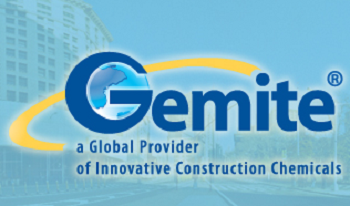 Gemite Group is a multifaceted Group of Companies, Distributors and Licenses providing premier solutions to our customers, wherever they may be. Gemite delivers a complete line of exceptional construction chemicals and building products and provides unmatched technical support to resolve our customers’ challenges in the most efficient and economical way possible. Gemite delivers every product necessary for a successful project - from start to finish, from a single source and for years to come. The Gemite Technical Team draws upon extensive global resources and knowledge to quickly find innovative solutions to fit your needs. This enables Gemite to resolve customer challenges and tailor our products and services to the specific culture, tradition, technical standards, and engineering practices of the given region. With a solid reputation for innovation, superior quality, environmental responsibility and unmatched service, Gemite is the preferred industry choice for lasting and reliable solutions. Gemite’s vision is to deliver products of the highest quality and value – on time - and consistently exceed our customers’ expectations. We continually work to enhance our management system and processes to provide services that are both cost-efficient and effective. We will earn our customers’ patronage through continuous improvements driven by integrity, teamwork and innovation. It is a long-term commitment and our goal is to position our company for market expansion, thereby providing improved job security and quality of life for all.